The Tamils may be justly proud of the fact that Tamil has won the status of a Classical language, the status it richly deserves and should have got long, long ago. The Central Institute of Classical Tamil (CICT), established in Chennai, has mapped out various plans including preparation of definitive editions of forty one Classical Tamil texts and translation of these works into English and other major European languages as well as into major Indian languages and writing of a historical grammar of Tamil. Language being the autobiography of a people, our objective is to preserve and safeguard the invaluable treasure of the literary compositions in our language. If only we could delve into our past and recover the riches and wealth of the mighty treasure trove of Classical Tamil poetry, we will be amply rewarded by its lofty poetry, the poetry that strengthens and purifies the holiness of heart's affection and enlarges our imagination. 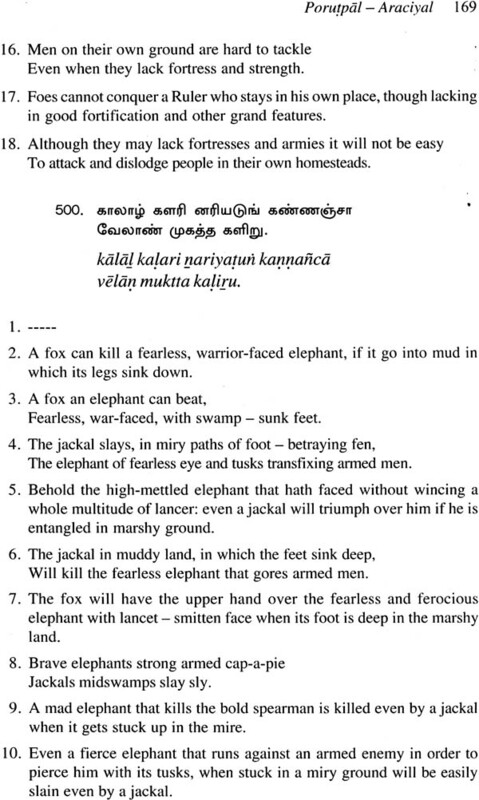 Apart from these, reading the ancient Tamil texts such as Tolkappiyam, Ettuttokai, Pattuppattu and Tirukkural provides a foundation for scholarship for the present and in this sense provides enlightened education. It is heartening to write this foreword to the series of publications to be brought out by CICT, which I am sure, will do full justice to the masterpieces in Tamil without compromising on the quality of production. The Cankam corpus being a repository of our glorious culture, it behoves our present and future generations to study them and to convey their message and the vision of life embodied in them to the public at large. Let me, therefore, commend the series to the enlightened beings the world over. Among the classical literary works of the Tamil, Tirukkural finds a pride of place. This monumental creation of Thiruvalluvar has been read, interpreted and put into use in practical life by men of wisdom from days of yore. There is hardly any ancient work in Tamil which has not quoted passages from Tirukkural. Of all the classics, Tirukkural is the work that has been chosen for translation by most western scholars and others. In English alone, there are more than fifty versions of this time-honoured work. 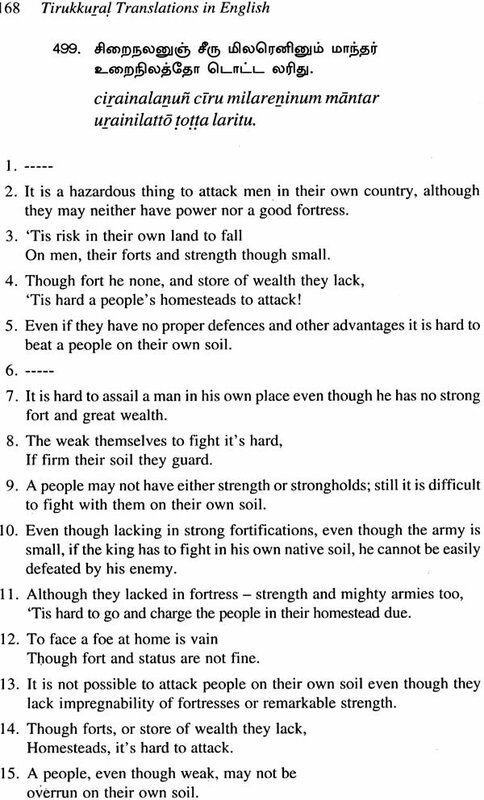 The Tamil scholar Beschi translated it in Latin in 1730, N .H. Kindersley translated in English in 1794 and F. W. Ellis did it in English in 1812. It has undergone translations in such other foreign languages as French, German, and Russian. 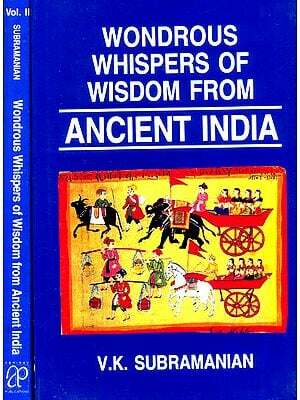 It has been rendered in almost all Indian languages. The Central Institute of Classical Tamil has undertaken the task of translating all classical literature. The Institute made a judicious selection of 18 among the available English translations and has published them as a compendium. Professor A.A. Manavalan undertook this task. As a first step, we are publishing the translation of Arattuppal. On behalf of the Institute, I am pleased to extend my profound thanks to Professsor A.A. Manavalan for compiling and editing these translations. I am thankful to the department of translations of the Institute and the publication division for their help in bringing out this volume. My special thanks are due in a large measure to Professor K. Ramasamy for the efforts he took in coordinating the work leading to the publication of this attractive volume. The Hon'ble Chief Minister of Tamilnadu and Respectful Chairman of the Central Institute of Classical Tamil has written the foreword to this book. He has been spreading the message of Tirukkural through his writings and speeches all along. His foreword lends grace to this book. I feel most happy to express my gratitude to him. The Kural is believed to be the most translated of all literary works in the world, barring religious works like the Bible and the Koran (Diaz 41). 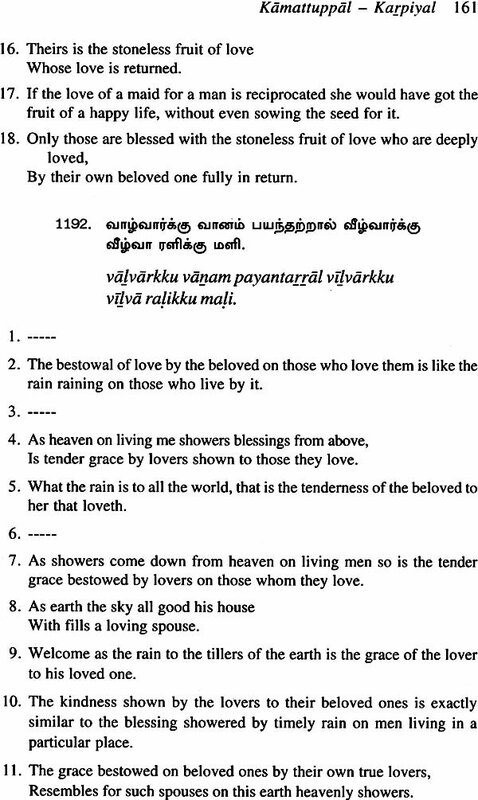 There are about 130 translations of the Kural in the languages of the world and in English alone (until March 2006) about 50 translations have appeared. The translation service to the Kural in English was started in AD 1794 by N.H. Kindersley and now the history is more than 200 years old. 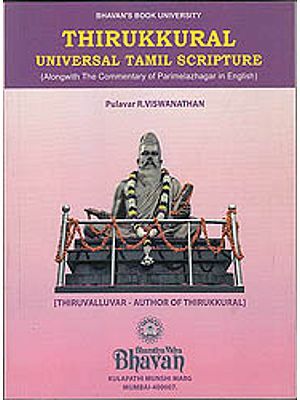 Considering the significant service rendered by the translators, the potential ambassadors of any culture, and considering the need to preserve their translations in handy volumes for the benefit of both the Source Language (SL) and Target Language (TL) readers all over the world, the Project Committee for Translation of Classical Tamil works decided in April 2006 to collect and preserve significant renderings attempted in English through a project, "A Compendium of Tirukkural translations in English”. The Central Institute of Classical Tamil (CICT), established in Chennai, has taken on the challenge of preparing the definitive editions of forty-one Classical Tamil texts, translating these works into English and other major European languages, as well as into major Indian languages, and writing a historical grammar of Tamil. Language being the autobiography of a people, CICT's objective is to preserve and safeguard the invaluable treasure of the literary compositions in the Tamil language. If only we could delve into our past and recover the riches and wealth of the mighty treasure trove of Classical Tamil poetry, we will be amply rewarded by its lofty aspiration, its refined sensibility and its soaring imagination. Apart from these, reading the ancient Tamil texts, notably the Tolkappiyam, Ettuttokai, Pattuppattu and Tirukkural, provides a foundation for scholarship in the present and offers an opportunity to bring enlightenment from the past into our contemporary education. I am pleased to write this foreword to the series of publications brought out by CICT, which I am sure, will do full justice to the masterpieces in Tamil without compromising on the quality of production. The Cankam corpus is a repository of our glorious culture. I urge our present and future generations to study the great classical works and to convey their message and the vision of life embodied in them to the public at large. It is with pleasure, therefore, that I commend the series to enlightened readers the world over. The Central Institute of Classical Tamil (CICT), established in Chennai, has taken on the challenge of preparing the definitive editions of forty-one Classical Tamil texts, translating these works into English and other major European languages, as well as into major Indian languages, and writing a historical grammar of Tamil. Language being the autobiography of a people, CICT's objective is to preserve and safeguard the invaluable treasure of the literary compositions in the Tamil language. If only we could delve into our past and recover the riches and wealth of the mighty treasure trove of Classical Tamil poetry, we will be amply rewarded by its lofty aspiration, its refined sensibility and its soaring imagination. Apart from these, reading the ancient Tamil texts, notably the Tolkappiyam, Ettuttokai, Pattuppatta and Tirukkural, provides a foundation for scholarship in the present and offers an opportunity to bring enlightenment from the past into our contemporary education.